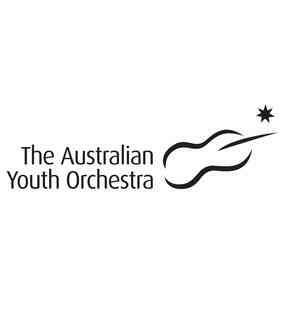 Founded in 1948, Australian Youth Orchestra (AYO) has a reputation as one of the world’s most prestigious and innovative training organisations for young pre-professional musicians. Its training pathway has been created to nurture the musical development of Australia's finest young instrumentalists across metropolitan and regional Australia: from the emerging, gifted, school-aged student, to those on the verge of a professional career. When Professor John Bishop OBE and Ruth Alexander convened the first National Music camp in 1948, they created an institution that would fire the imaginations of over 12,000 young Australian musicians, see its orchestras tour the globe and instil in its participants a love of music and a dedication to the highest standards of performance. AYO occupies a special place in the musical culture of Australia, where one generation of brilliant musicians inspires the next, where aspiring musicians get a taste of life as professional musicians, and where like-minded individuals from all over the country gather for intense periods to learn from each other, study and perform. Each year AYO continues to grow, offering opportunities to some 300 talented musicians between the ages of 12 to 28, who are handpicked in rigorous national auditions, across metropolitan and regional Australia. On the world stage, AYO has established itself as a cultural ambassador for Australia on 19 international tours since its first in 1970. This landmark tour established the international reputation of AYO, and led to engagements at major festivals across Europe for several decades to come. Australian Youth Orchestra is a flagship for the culture of our nation and a testament to the commitment and skill of its youth. Today, countless AYO alumni are members of some of the finest professional orchestras worldwide. Australian Youth Orchestra. Training tomorrow's greats.